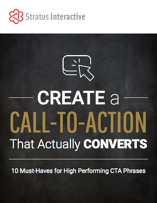 As the center of your lead generation power, a call-to-action is a crucial component to your business’ overall success. Conversions depend on the “small things,” so taking every little detail into account is extremely crucial. It’s time to get started converting more visitors into customers!